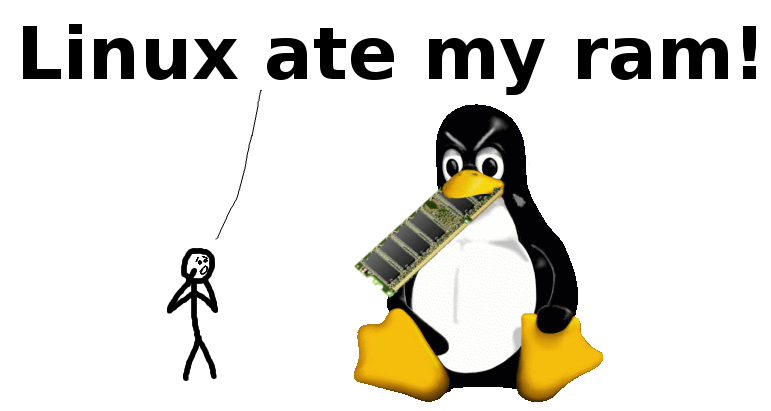 Linux ate my ram ! No, disk caching only borrows the ram that applications don’t currently want. It will not use swap. If applications want more memory, they just take it back from the disk cache. They will not start swapping. You can’t disable disk caching. The only reason anyone ever wants to disable disk caching is because they think it takes memory away from their applications, which it doesn’t! Disk cache makes applications load faster and run smoother, but it NEVER EVER takes memory away from them! Therefore, there’s absolutely no reason to disable it! Why does top and free say all my ram is used if it isn’t? This is just a misunderstanding of terms. 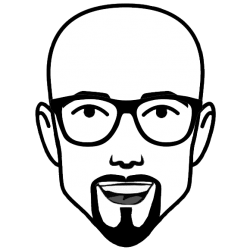 Both you and Linux agree that memory taken by applications is “used”, while memory that isn’t used for anything is “free”.But what do you call memory that is both used for something and available for applications? You would call that “free”, but Linux calls it “used”. This “something” is what top and free calls “buffers” and “cached”. Since your and Linux’s terminology differs, you think you are low on ram when you’re not. If you don’t know how to read the numbers, you’ll think the ram is 99% full when it’s really just 42%.